Paseo Boulevard was renamed Dr. Martin Luther King Jr. Boulevard this January, the result of an effort that first started eight years ago. 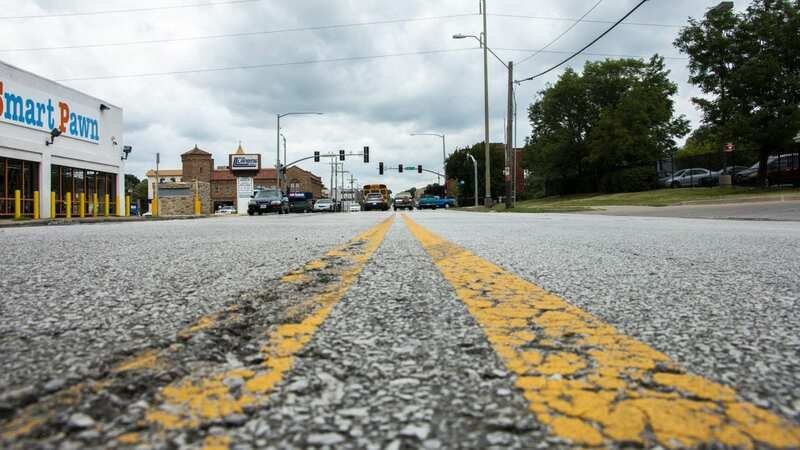 Turns out, the change to one of Kansas City, Missouri’s main thoroughfares stirred up a few curiousKC questions. So here it is, a new batch of questions for you to mull over and vote on. But first, we’ll give you the background on why your fellow Kansas Citians submitted these four questions to curiousKC. Stacey McBride has submitted questions to curiousKC before, but this time her query was sparked by ‘Nelly Don: The Musical.’ “There’s the James A Reed Road — that’s who (Don) married — I go on it all the time,” McBride said. “But, I thought, ‘Huh, I can’t think of a Nelly Donn Road’. And then it occurred to me – because I have two daughters – come to think of it, I don’t think there are any (streets named after women).” She wants Flatland to prove her wrong. Similar to the first question, this one is about street names. But this comes from Sharon Adkisson of Independence, Missouri, who simply loves local history. She moved to Kansas City, Missouri, a decade ago to be closer to her grandchildren, and as she drove through town street names caught her eye. Marvin Payne of Independence, Missouri began to look into the topic himself, but “I found little or conflicting information on Google,” he wrote to Flatland in an email. Payne is a self-proclaimed history buff and tasked Flatland to find the origins of Kansas City, Missouri, street names. Though this question asker didn’t respond, Flatland’s online news editor Mike Sherry also wondered how this road is pronounced. A poll in the newsroom pretty much landed at, “I don’t know.” You keep us on our toes! Voting for this round ends May 3, so be sure to submit it as soon as you can. And we welcome new questions all day, every day. Ask a #curiousKC question by clicking here.